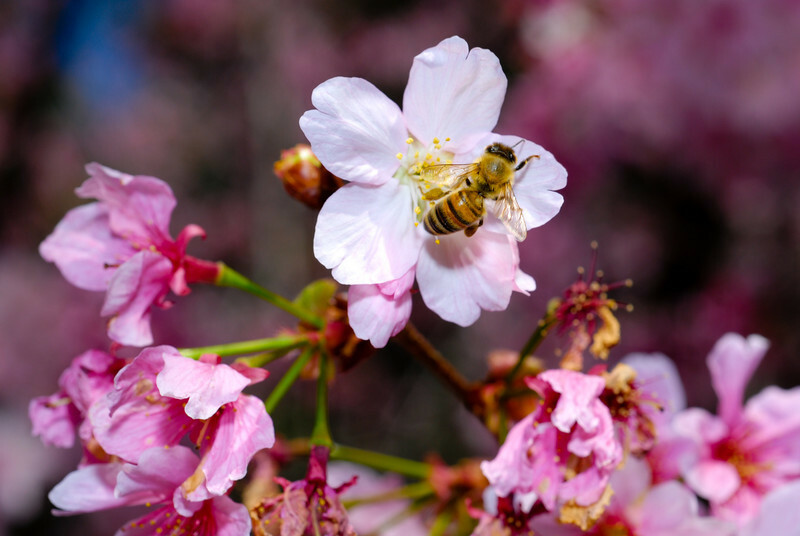 365 days ago, I took my first daily photo of a bee and some cherry blossoms. Now that a year has passed and the same tree is in bloom again, I decided to try the same thing! I like the exposure on this - I used my SB800 for some extra lighting, which definitely got rid of some hard shadows from the noon sunlight. I also like the interesting pose of the bee, like she's circling the flower or something. Congrats on your one year!! Lovely shot. Wonderful shot, great control of dof, lovely colors. beautiful!! congrats on making a year! A fine catch! Nicely done. congrats on your year of Dailies! This is a great shot with fantastic detail & color! Great shot,my first visit but not my last...Your gallery is great too..